Looking for a fun and memorable experience for a special occasion? 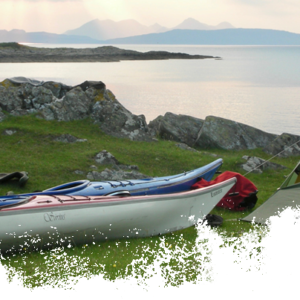 We have spent many years perfecting the ultimate weekend for a group of adventurous people who are keen to enjoy each others company in a stunning wild environment. We take care of all the logistics so you can relax and enjoy a weekend of good wholesome adventure away from the crowds. If you’re planning a stag or hen do and want to do something unique and more meaningful than a bog standard bar crawl then you’re going to love this! The aim is to enjoy being in the wild in comfort and our camps are fully catered with lots of delicious food. 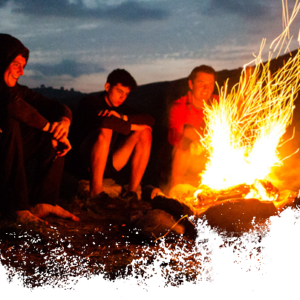 Arrive at our fantastic woodland base camp (click here for more details) at a time that works for you; most groups aim to get to us for about 17:00 or 18:00 but if some of your party can’t make it until later that’s no problem at all. From the parking it’s a 10 min walk through the woods to the camp and your nearest neighbour is a farm house over 2 miles away. This is the perfect location for a group who want’s to have their own private gathering and you can sing songs around a roaring camp fire late into the night. After a filling hot breakfast you’ll pack all your supplies into your Sea Kayak and head out on a journey along one of the UK’s most spectacular coast lines. You’ll find a remote beach for the camp where you can watch the sun set over the sea and enjoy another campfire. Wake up for a swim in the sun and then paddle back along the coast to Dartmouth. You can finish at whatever time works for you but most groups aim to be off the water by mid afternoon. We provide everything you could need to be very comfortable for the 2 days. As well as your kayaking kit we also give you all the camping gear that you’ll beed: tents, inflatable camp mattresses, head torches, cooking equipment. We give you as many dry bags as you need to store your personal evening clothing and any other gear you want to bring. However to get the most out of your trip please bring a warm set of outdoor clothing for the evening, a pair of shoes or sandals that you don’t mind getting wet, a sleeping bag (we can lend you one if you don’t have your own) and a bottle of your favourite wine or beer! The beauty of traveling by kayak is that weight does not matter, in fact it can often make it feel easier and more stable!